On Thursday 24th May Red Bull Music Academy and FABRICLIVE present Ram Jam, a night of bass with rudeboy David Rodigan MBE at the helm. Having cut his teeth playing youth clubs from the age of 15 and celebrating his 60th birthday last year, Rodigan retains the glint in his eye, continues to destroy clubs and festival stages the world over and shows no sign of slowing down. Followed by a roster of dancehall and dub-flavoured special guests, many of whom regularly feature in Rodigan’s set, Ram Jam also welcomes first lady of UKG Ms Dynamite, Birmingham’s Bitty McLean, Caspa, BBC Radio 1’s Toddla T, with the UK’s number one bashment sound The Heatwave completing the bill. Before the night starts, Red Bull Music Academy presents an intimate conversation with David Rodigan in the club’s VIP Room. Taking in a career spanning 40 years, Sir Ram Jam himself will be talking about his love of reggae and roots, complete with classic tales of clashes and roadblocks, his times in Jamaica, plus a chance to view never before seen photos and hear the dubplates that remain ingrained in reggae folklore. The conversation will be led and hosted by BBC Radio 1 host and long-time Academy team member, Benji B. 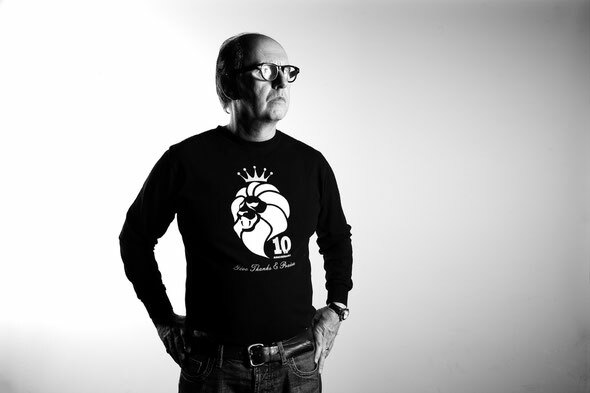 The conversation with David Rodigan, taking place from 8pm - 10pm, will be free subject to limited capacity. Those wishing to stay on for the main event should purchase a ticket in advance from www.fabriclondon.com which will be exchanged for a wristband on arrival.